Located 150 m away from the center of the resort, 300 m from Neptun train station, the hotel has a beach 700 m away. It provides a play area for children, 2 conference rooms with 50 and 100 seats, equipped with a flipchart, as well as audio and video equipment. The 3-star Miorita Neptun Hotel is in the north area of the resort, close to Doina Hotel – a therapy retreat 700 m away from the beach. Located in an area with rich vegetation, the hotel is the ideal destination for quiet holidays, away from the urban tension. 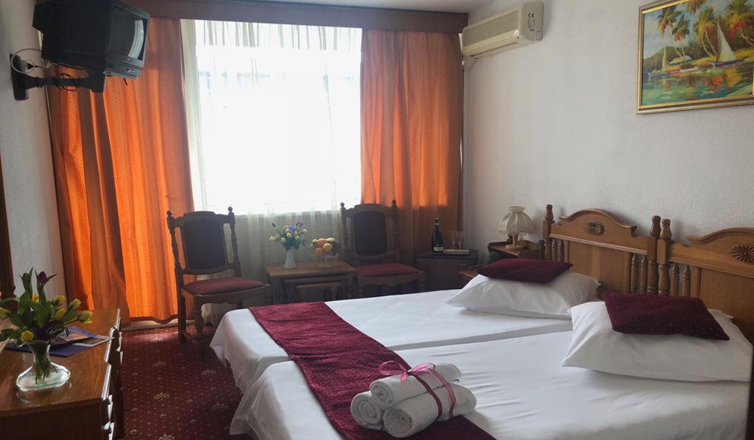 RoomsMiorita Neptun Hotel is a 5-storey building, providing 100 3-star superior double rooms, 80 3-star standard double rooms, and 80 2-star double rooms. Room facilities: matrimonial bed, carpet, cable TV, air conditioning minibar, bathroom with a shower, towels and beauty products. 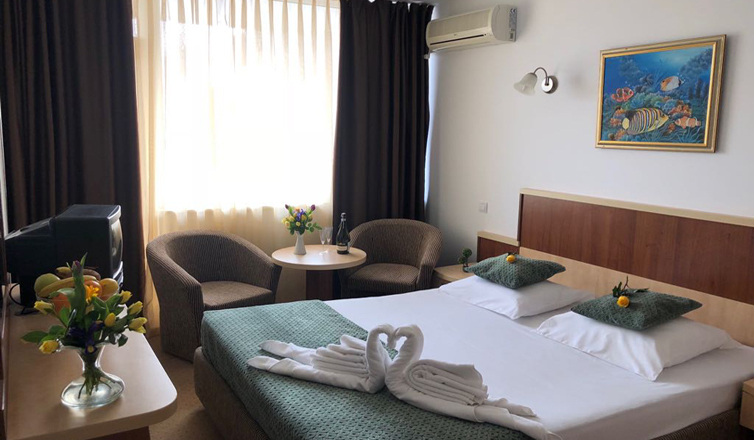 Located 150 m from the center of the resort, 300 m from Neptun train station, the hotel has a beach 700 m away and various facilities, both for adults, as well as for children. RESERVE YOUR ROOM RIGHT NOW!